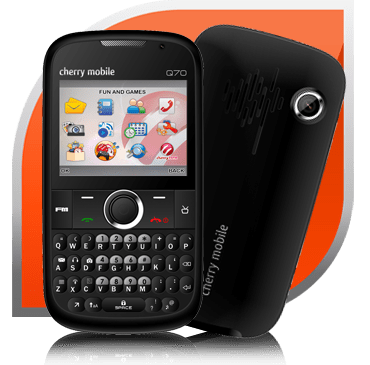 This might come to you a bit late guys, but you still have up until today, August 16, to buy one of Cherry Mobile’s newest multiple-SIM creations – the Cherry Mobile Q70 Quad. Can you guess how many SIMs this one can use at the same time? If you said four, then you win a prize! Unfortunately the DTI doesn’t want us to hold contests without their permission, so your consolation prize is this introductory offer for this TV Quad SIM phone for PHP 2,999. (Down PHP 500 it’s regular price of PHP 3,499.) Remember that Q60 Tryo sale that happened not long ago? It’s like that, except you get the extra SIM slot. We haven’t had a chance to check the Q70 Quad to record a video like we did with the Q60 Tryo, but since they look similar you might want to check out the Q60 video here. The flyer says the sale is valid until today “in all Cherry Mobile Concept Stores and Kiosks Nationwide.” So pick one up if you are someone who have 4 SIMs lying around. just bought Q70 last monday and mind you the 1st in Walter mart Kiosk. so far happy kahit konti lang ang phonebook. hope you can come up 4 sims with unlimited group callers and phonebook let say 3K just like your 3sim Trident mobile phone. thanks and God Bless! what can you say about the keypad?i bought q60, the phone is good except for the keypad, its noisy when txting, please inform me regarding keypad, is it good?